New Delhi: The All India Tennis Association (AITA) on Tuesday terminated the contract of Vijay Amritraj's Champions Tennis League due to a breach of contract, much to the shock of the former star, who says the move has come at a time when they were striving to revive the League. The All India Tennis Association (AITA) had entered into a nine-year contract in 2014 with Second Serve Private Limited (SSPL), led by Amritraj, who was one of the Directors of the company. The AITA Secretary General Hironmoy Chatterjee said that the organisers have failed to pay Rs 30 lakh to them as an Annual Fixed fee for 2016 season, apart from 10 percent of the surplus amount in the first two years. "They did not conduct league last year and the contract was to have it for nine years without any break. They did not pay the fixed fee of Rs 30 lakh, so it was a breach of contract. We had given them a chance to conduct it this year to which they initially agreed," Chatterjee told PTI. "But later on, they said that the franchises would not agree to have it for just 2017 season. They insisted that we allow them to conduct it for nine years as per the agreement but our Executive Committee rejected it," Chatterjee. The senior AITA official also said CTL organisers also failed to pay 10 per cent of the surplus amount. "They never paid that 10 per cent citing losses," Chatterjee further added. When contacted, Amritraj told PTI that they are completely shocked to hear the news. 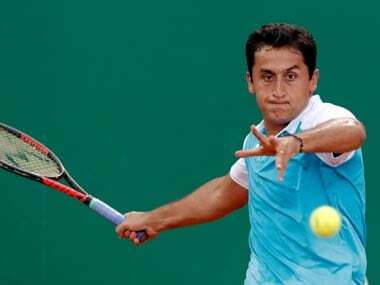 He also revealed that AITA had demanded to raise the Annual Fixed fee. "They knew very well that we were regrouping and making efforts to revive it. They wanted to almost double the amount of fee," Amritraj said. "They have all our balance sheets, that show we have incurred losses, so how we would have paid 10 percent of surplus when there was no profit," he said. CTL CEO Arjun Rao said they were in the middle of reviving the league and were talking to teams and asserted that it was not a flawed financial model. "I would not say it was a faulty model. It was financially viable. We were very hopeful to have a better league and now this puts us a few steps back in our efforts," Rao lamented. Amritraj said it was difficult to raise money for tennis in India and AITA's decision was very unfortunate. "Why do you think we have only one ATP tournament in India in last 21 years. It is because it is difficult to get sponsors for tennis. But we were making efforts and they knew everything. I really don't understand why they did it." Rao added that AITA never demanded the Fixed fee for 2016, so it was a big surprise for them. "If they wanted the fee for 2016 then they should have terminated the contract in 2016 itself. Why wait till August 2017? They never wrote to us that you owe us a fee," Rao reasoned. 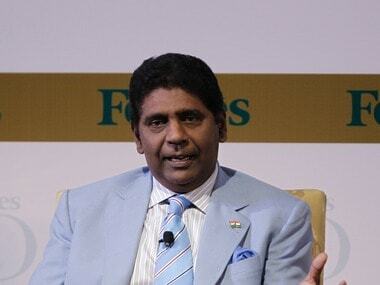 Amritraj said it was a setback for tennis in the country. "If Ramkumar won one set while playing against David Ferrer during the Spain tie, it was because he had practised with the same player during his CTL stint. We wanted to help our Indian players and it was great opportunity and exposure for them to play along side these players," Amritraj said. 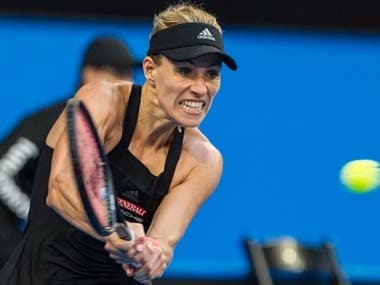 Some of the global stars such as Martina Hingis, Feliciano Lopez, Jelena Jankovic, Agnieszka Radwanska, Garbine Muguruza and India's very own Leander Paes had competed in the League in the first two editions. Rao admitted that it was now an "uphill task" for them to salvage the League. The AITA though will allow SSPL to place a fresh bid in 2018. "We have told them they can apply next year, we won't stop them. We will give them preference," Chatterjee said.